Every day, ~100 Americans are killed with a gun and hundreds more experience gun-related injuries. Though nearly two-thirds of gun deaths are suicides, the rest are homicides. The homicide rate in the United States is 25 times higher than that of other high-income countries. While the second amendment gives us the right to bear arms, gun violence occurs all over the country. However, it tends to be most highly concentrated in large cities – Chicago is one of them. Though the myth that Chicago is the nation’s murder capital is untrue, the fact remains that gun-related crimes and deaths are still a major issue. The fact that Illinois has relatively tight gun laws helps keep the homicide rate down, but the illegal gun market is still running rampant. Keep reading to learn more about Chicago’s gun laws and the impact they have on gun-related violence and deaths in the city. More than 36,000 people die by gun each year in the United States, and an additional 100,000 are injured. Gun violence is a nationwide issue, and Chicago is by no means immune. Chicago is frequently identified as the nation’s murder capital, though that is not strictly true. In fact, the Pew Research Center reported that Chicago has fewer murders per capita than many smaller U.S. cities. In 2017, Chicago was ranked 14th among cities having at least 100,000 people – St. Louis was highest. Though it is possible to obtain guns illegally, Chicago gun laws exist to regulate the sale, possession, and use of firearms and ammunition in the state of Illinois. In order to possess firearms or ammunition, residents of Illinois must apply for and obtain a Firearm Owners Identification (FOID) card issued by Illinois State Police. The state police are also responsible for issuing concealed carry licenses to qualified applicants aged 21 or older who pass a 16-hour training course. Legislation for different types of firearms and ammunition vary. Open carry is not allowed in the state of Illinois and vehicle carry is only allowed with a concealed carry license. There are no state-level magazine restrictions and no current law banning the possession of assault weapons. Background checks are required for private sales, and there is a waiting period to take possession of a firearm after purchasing it. There is also a red flag law in which family members or police can petition the Court to issue an order to confiscate firearms from a person deemed immediately dangerous to themselves or others. On January 1 of 2019, the state of Illinois implemented several changes to their gun laws. The purpose driving these changes was to make it more difficult for people to obtain a gun and easier for law enforcement personnel to take guns away from known criminals and people who are deemed dangerous. The waiting period to purchase a rifle has been increased from 24 hours to 72 hours between the time you purchased the gun and when you could take possession of it. Gun owners are required to obtain a Firearm Owner’s Identification Card (FOID) which must be renewed in a process that can be quite lengthy. The 2019 amendment ensures that an expired FOID card will remain valid as long as the renewal application was submitted prior to expiration – this prevent gun owners from being charged with unlawful use of a firearm while waiting to receive their new FOID card in the mail. The Firearms Restraining Order Act was signed into law in July 2018 and went into effect January 1, 2019. This law allows Courts to issue a 6-month Emergency Order of Protection that can be processed and issued the same day, enabling the Court to temporarily revoke an alleged dangerous person’s FOID card and firearms on an emergency basis. While these are the three major changes affecting Chicago gun laws in 2019, there are a few minor amendments as well. For example, Illinois hospitals will be required to report involuntary psychiatric admissions to State officials who may then revoke an FOID card. Prior to 2019, individuals could petition the Court for an Order of Protection involving an FOID card and firearm. In 2019, that right was extended to hospitals and places of worship. 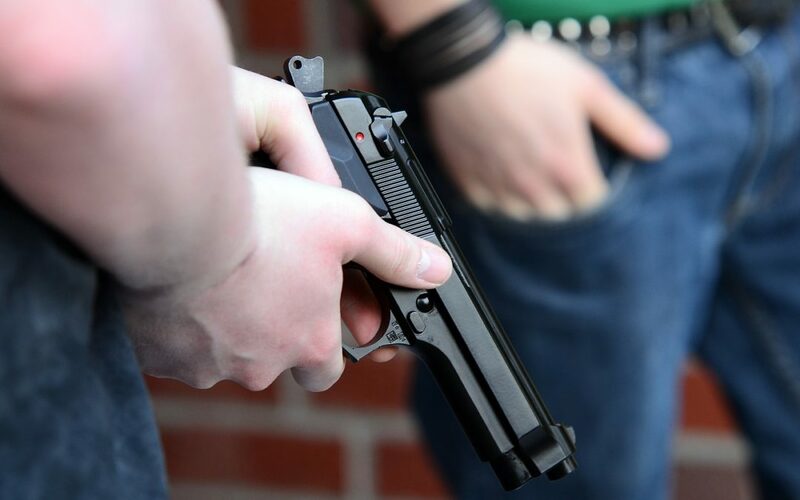 Will Stricter Gun Laws Reduce Gun Crime in Chicago? Following the Las Vegas shooting that occurred in October 2017, the subject of gun legislation was on the lips of many. The White House faced questions about whether President Trump would support stricter gun laws which led press secretary Sarah Huckabee Sanders to issue a statement in which she said, “One of the things we don’t want to do is try to create laws that won’t stop these types of things from happening.” Sanders went on to quote the statistic that the city of Chicago had more than 4,000 victims of gun-related crime the previous year, despite having the strictest gun laws in the country. The idea that gun laws don’t work is nothing new, but it is worth examining the point to see whether this statement holds water. Though it may be true that there were more than 4,000 victims of gun-related crime in Chicago during 2016, it is also true that the homicide rate seems to be increasing. Chicago city gun homicides rose by more than 60% between 2015 and 2016, resulting in a homicide rate of 25.1 per 100,000 residents in 2016. By comparison, the homicide rate is 14.7 in Philadelphia and only 2.3 in New York. These statistics are shocking, but what is more shocking is the story they fail to tell. Chicago may have some tough gun laws – such as the ban on assault weapons in Cook County – but many of its stricter laws have been overturned. A 2008 Supreme Court ruling declared the ban on handguns within the city limits unconstitutional, and the city’s gun registry program that was set in place in 1968 was abolished in 2013 when the state of Illinois passed a law allowing for the concealed carry of weapons. It is also important to note that Chicago is very close to two states that have very weak gun laws – Wisconsin and Indiana. According to the city’s 2017 Gun Trace Report, about 60% of the city’s guns are illegally obtained from out of state. This statistic highlights the fact that, despite gun laws, guns can still be obtained by the people who want them and there will always be a risk of unlawful use. As long as there are guns in Chicago, there will be gun violence, and gun-related crimes come with severe penalties. If you’ve been arrested for breaking any of Chicago’s gun laws, you need to seek legal counsel as soon as possible. Your rights are protected under Illinois law, and we are here to defend those rights. 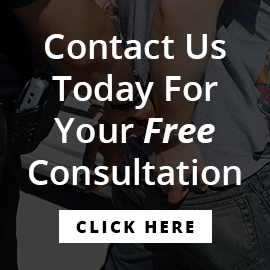 Call us right away at (312) 371-5522 to receive a free consultation with an experienced attorney.